Hello Vivo Y83 Pro owners, good news for you guys, now Remove Vivo Y83 Pro Pattern lock, Password, Pin lock very easily without any box, we all know now Vivo Y83 Pro remove pattern lock is too difficult to remove without data loss, but now we find a way to remove it, follow the below tutorial. What is Screen Lock protection for Vivo Y83 Pro? Why did we need to Remove Screen Locks? -If your device shows too many attempts to unlock pattern if you want to unlock then follow the below process very carefully. -To Remove Vivo Y83 Pro Pattern lock you need to download some files. 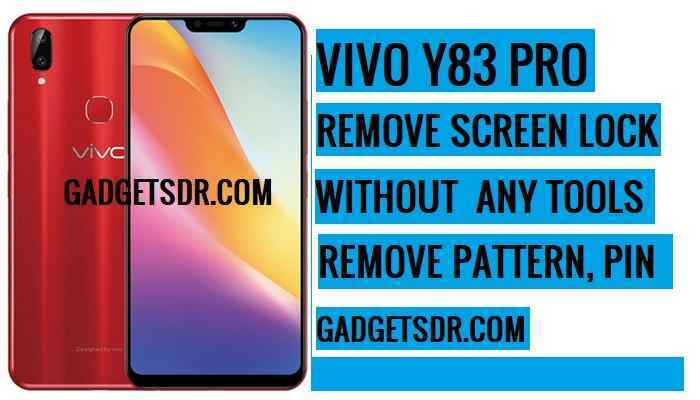 check below you will get all the files, first of all, download the “Vivo Y83 Pro Pattern Remove tool” with Vivo USB driver. -Once downloading finish, then extract the removal tool to your desktop. -Then run the “Vivo_tool.exe” from there. -Then go back to your desktop, then install MTK USB driver.exe from there. -Once done, now put your device in download mode. -First of all, power off your device. -After that, press “Volume UP and Power” key until you see “Vivo” logo on your device screen. -Once your device into the “fast boot mode”. -Then select there “Recovery Mode” by pressing “Volume UP and Down” key. -Once Recovery mode appearing on your device screen. -Then select there “Advance Option” then select there “Reboot with ADB”. -Once power on then follows the below steps. -Then open “Device Manager” by right click on your “My Computer” -> “Manage” -> Device Manager”. -Go to “Port”-> Then you will see “Mediatake USB VCOM (Android) (COM6)“. -Now remember the “COM” number, and open the “Y83 Pro Pattern, Remove Tool”. -Then click on the “Btn2” there. -Wait for a few minutes. -Once done then you will get a “Finish” message popup box. -Now disconnect your device from PC and then Power On your device. Thanks for visiting us, Comment below if you face any problem With Vivo Y83 Pro Pattern Remove tool, we will try to solve your problem as soon as possible. you can check other some tutorial here to help you.